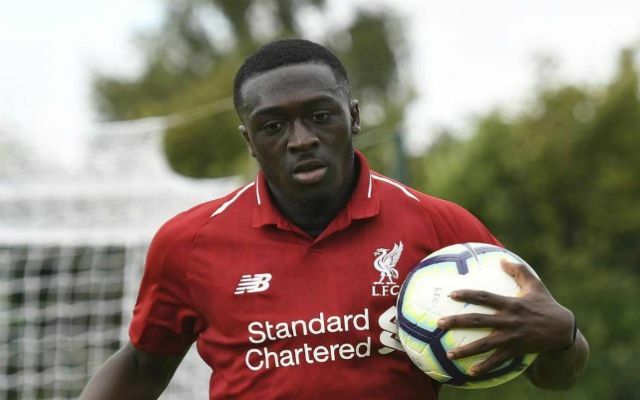 Promising Liverpool youngster, Bobby Adekanye, is expected to leave the club after apparently agreeing terms with Serie A side, Lazio. Goal reporter, Neil Jones, has tweeted today that the 20-year-old Nigerian will depart Anfield in the summer pending official confirmation of the rumour in the months to follow. That’s despite Lazio denying they were after him this January. Bobby Adekanye’s move to Lazio is edging closer. He’ll be leaving #LFC on a free this summer, and a deal with the Serie A side is almost complete. He has another option on the table but Italy preferred destination. Adekanye is a Dutch youth international having moved to the Netherlands at the age of four. There, he began his young career at the Ajax academy before moving onto Barcelona’s youth set-up. After four years at the Camp Nou he finally moved to Liverpool in the 2015/16 season. A versatile attacker, the 20-year-old has been deployed on both wings and through the middle during his time with our youth teams, but, despite his prowess and adaptability, it seems that he will be leaving the academy in the close season. His move to Lazio makes sense; he has been unable to force his way into Jürgen Klopp’s first-team plans unlike Rafael Camacho and Ki-Jana Hoever. Eventually, Rhian Brewster will also feature after being fast-tracked to the senior side. We have a good business relationship with Lazio having shipped out Lucas and Luis Alberto to the Rome team. It might be an even more robust connection, though. The Independent have recently brought news that Alberto Moreno could be accompanying Adekanye to the Italian capital for an ex-Reds reunion. Adekanye’s departure will give force Klopp to consider his attacking options going into the summer transfer window. With Dom Solanke already gone, and Daniel Sturridge set to follow him out of Anfield, Adekanye leaving could spell the arrival of a few new faces around Anfield.